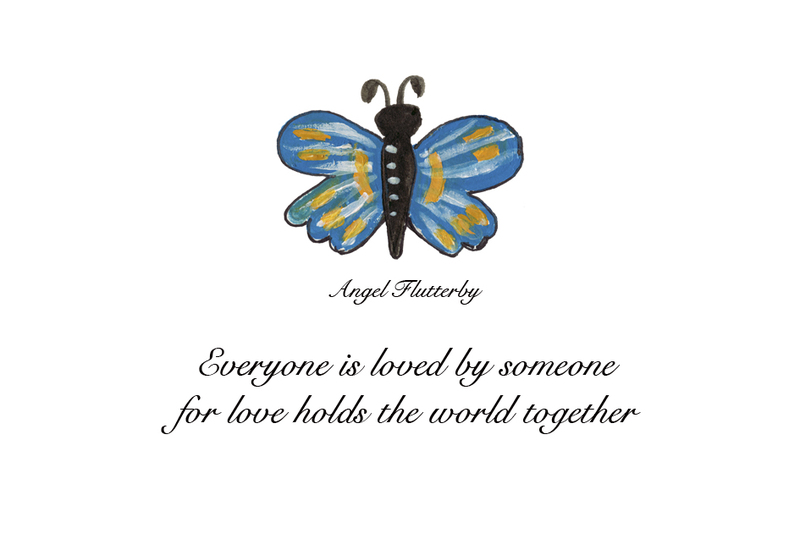 Mini Flutterby Cards, each with an individual inspirational quotation to give you positivity throughout your day. 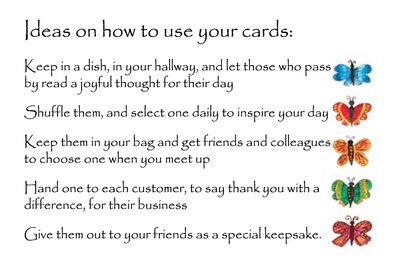 To put in the hallway of your home or give out to friends etc Business card size - perfect for pockets and handbags. 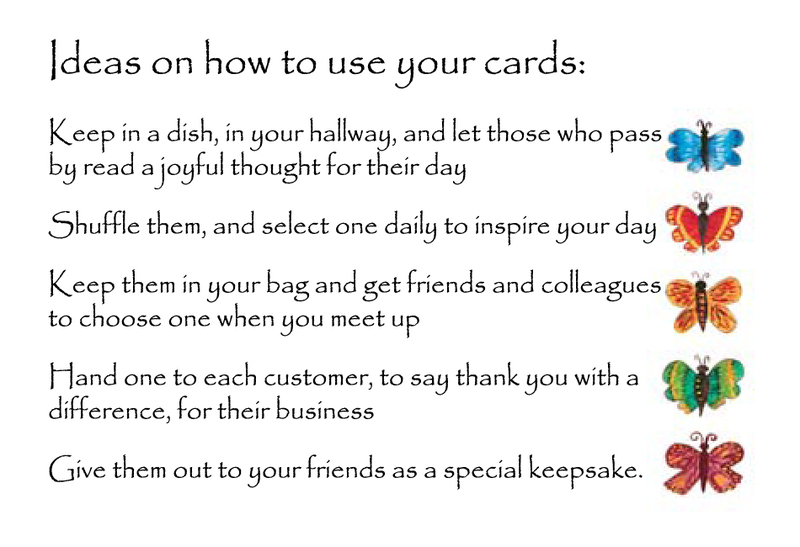 Can also be used at Weddings to help decorate the table - an individual message for all guests - adds a nice positive touch. Customers have been delighted with their simplicity, positivity and uniqueness. I am delighted to say that these cards are now being sold to raise funds on behalf of The Butterfly Foundation. 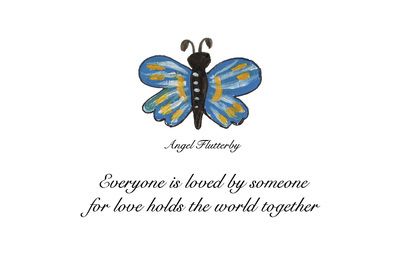 The Butterfly Foundation supports women, men and children who have been affected by domestic abuse. 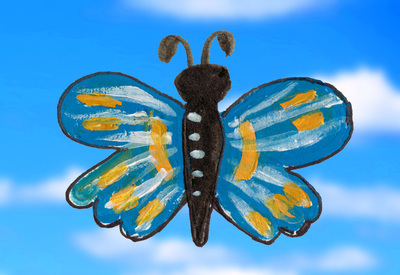 The charity is unique in that it utilizes the performing and creative arts to help members overcome the effects of domestic abuse and to gain a better quality of life. The members regularly take part in public exhibitions and live performances which helps to raise public awareness of domestic violence issues. 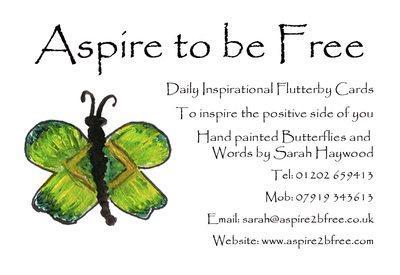 Their website is: www.thebutterflyfoundation.org.uk if you want to find out more about them.